Why Does Call of Duty Attract Cheating? It’s a phenomenon that’s becoming very well known in the gaming world. With each release of a Call of Duty game you only need to wait a few days before someone has figured out how to get out of the maps, how to hide under the floor or get infinite ammo on whichever weapon they want. But what is it about Call of Duty that makes it such an appealing prospect for cheaters? For those of you who aren’t aware, I work with kids who are obsessed by COD despite being 5 or 6 years below the age rating, and it gives you a fascinating insight into the world of a gaming cheat. The irony in the situation is that the Call of Duty series has become a victim of its own success. 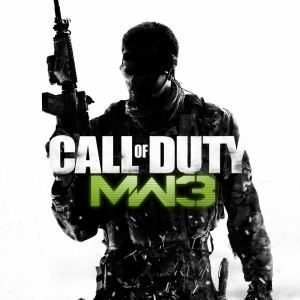 Since the first Modern Warfare title (that’s COD4, number fans) it’s been the online game of choice for a vast number of gamers, some spending upwards of 18 hours a day online. Indeed, it was quite telling to see the top 20 players on Modern Warfare 3 had all chalked up over 48 hours of online play after the game had only been on the shelves for 3 days. That’s a whole new level of obsession. And the strangest thing? These players probably won’t slow down. They’ll keep playing, addicted to the fact that their epic schedule gives them an intimate knowledge of every inch of every map. Hiding places will be found before anyone else, weapon upgrades will make them even harder to beat, and the buzz from hitting the top of the tree in every game is enough for these folks to refuse to stop. But how does this link in to cheating? Well it’s easy to find plenty of real world examples where people have cheated to be the best, or to do things that nobody else could do. Take a look at pretty much any sport and you’ll find example of people who have cheated to be the best. Ben Johnson and Maradonna both famously cheated to try to be better than anyone else, and yet the difference here is that they probably didn’t need to. They were already world beaters in their fields who just wanted to be even better. That’s not to say everyone who becomes the best at what they do will turn to cheating, in fact cheating is generally reserved for those who want to be the best but don’t have the actual ability to beat others on a regular basis. Losing hurts some people, that’s why you get people quitting out of a game of FIFA once they go 3-0 down, they know their overall stats will record the loss but seeing the full time score in their opponent’s favour is too difficult to cope with. It stands to reason that those who put the hours in are actually less likely to be the ones found cheating – they’ve poured a crazy amount of time into perfecting their skills, why would they risk the ban hammer by cheating and losing their progress? No, it’s those who want to appear to be the best without the skill. Why play for months to get good when you can activate a glitch to make you invincible? Youth culture nowadays is all about going one better; kids add hundreds of random people to their Facebook friends to look more popular, add everyone’s number to their mobile to look like they know more people, and – yep, you’ve guessed it – will do anything to top their friends list online. If this means cheating then so be it, they’ll do everything they can do reach the top. But here’s the key question. Why Call of Duty? The answer is easy. It’s a selfish game. Sure there are team modes, but there’s very little reward for helping your teammates out – if you want the points, you capture the headquarters first, or grab the flag first. While some people might get a kick out of helping out and will enjoy just being on the winning team, a lot of people will obsess about being the name at the top of the list. Compare that to Battlefield 3. The squad based mechanics means you’re rewarded for helping others on your team. Sharing your ammo, healing fallen players, repairing vehicles, they don’t add anything to your kill count but they help your team to win the round. You’re even rewarded handsomely for doing so; it’s not out of the question to win a round without really killing anyone. Being in the right place at the right time with a defibrillator is just as important as putting a bullet in the enemy. It’s not Call of Duty’s fault, and the blame can’t always be dropped at the door of the developers. The very style of the online gameplay means it will always be a selfish game to play, and will always encourage players to put themselves first for the sake of earning more XP. But how this is dealt with is down to the developers, and with glitching still a common practice in MW2 it does appear that more can be done to counter it. Until Call of Duty becomes a different style of game, or something else comes along to take the XP obsessives away to another game then it’ll be the gaming lightbulb to the cheating moths. And let’s face it, that’s not likely to happen any time soon. 10 Comments on Why Does Call of Duty Attract Cheating? Basically all online gaming promotes a willy waggling contest. Kids at school all want to be, or seem to have the biggest willy, so that they aren’t on the receiving end of taunts! The fact that 12 yr olds are playing an 18 certificated game bares down to parents wanting an easy life. The simple way of stopping this whole willy waggling contest is to follow the lead of other games and give XP for playing ranked and non ranked games. Let the underaged or competitive sorts the leaderboards to shoot for and glitch. Leave the private lobbies to us who want to game with our mates and not have to touch the others. How else can we upgrade our weapons with new funky tools if we only play in private games? Give us XP in non ranked games!! It’s quite simple actually, it’s an easy target. When COD has several hundred thousand players online at most hours it is easy to see why it is the most likely victim. It is similar to PC viruses, its a more popular system so it has more, Mac has been getting more popular and guess what now more Mac viruses have started to appear. Take Gears 3 it only broke a hundred thousand its first couple days as far as I am aware. I have yet to see much hacking/cheating in it, Battlefield has the same advantage, fewer players means its less likely to be target by that type of person. I do disagree with the use of BF as a more team oriented game however. You imply only COD gives you points if you are the first to cap a objective then go onto to say BF gives it to all players but it does not. Only the person who arms and disarms the objective in BF gets points, not everyone. Both games have an assist system. I understand your point is the ammo, medic pack, and defib. Which are not in COD, but at the same time they only help imply teamwork, its up to the player to throw them down, half the time I am using them to either heal or rearm myself. I get the feeling you either have never played BF or play with rose tinted glasses and at the same time dislike COD. In a month I have yet to play a match of BF3 and have a team that even remotely does what you imply every BF gamer does. The only player I can count on to defib me is my brother, everyone else is to busy camping the jet/helo spawn or trying to snipe from the starting spawn. At least in MW3 HQ I can count on my team trying to get the HQ even when no one has a mic. i agree with Alpha. I think it’s more numbers than anything else. Hacking your way to the top of the Hoard leaderboards is hardly impressive. COD stands out. That’s number one before everything else you’ve listed out. By that argument you’re suggesting that the only way to make people stop cheating is to turn it more into a team game. While that may well be the case, doesn’t that make the state of gaming quite sad at the moment?